I scream you scream for ICE- CREAM! Well kinda, HA. 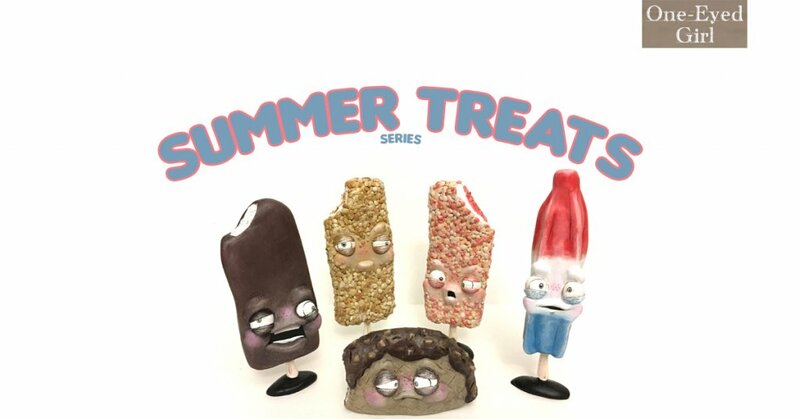 Our artist spotlight artist Kasey Tararuj AKA One-Eyed Girl is looking to sweeten your collection and display with her all-new “Summer Treats” series. Some Five Point Festival attendees might recognise some of these and Kasey quotes “I made 6 for Five Points, and couldn’t resist making some different new ones seeing as they are my weakness in the summertime. I have 5 new ones! ) Some nostalgia creeping into TTC HQ looking at these “Summer Treats” especially the Crackle (Bomb Pop) from Kasey. Can’t wait and need some Kasey art? How about these Mini Popsicles?